I took this shot in mid September in Orlando. It was a bright, hot, sunny Florida day. After eating lunch out, I noticed this small, uniquely shaped puddle beside my truck. I felt that I just had to try to include it in Puddle Reflections. 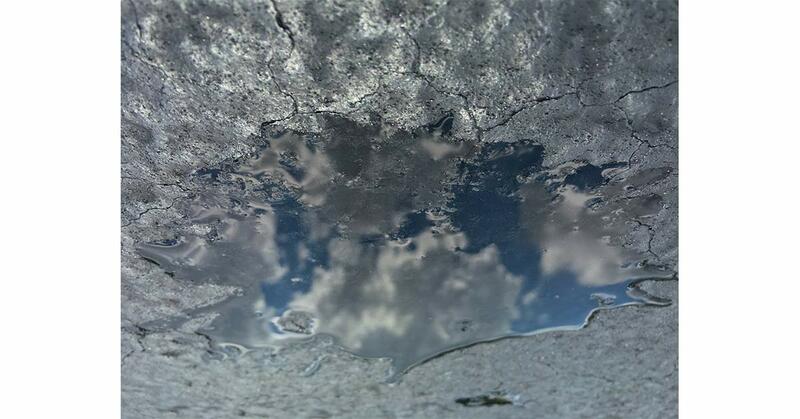 I was able to capture the reflection of only the clouds in the sky inside the puddle, making it seem as if the clouds were melting. Others have told me it looks like liquid mercury, or like the asphalt could be ice with a small puddle melting on top.